Power in numbers. Using our voices as a community can effect change — we now have four auto-injectors available compared to only one a year ago. 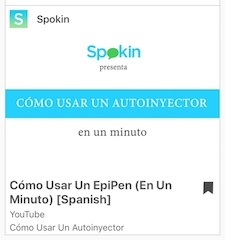 Use your voice now to share which device you trust most and share your favorite auto-injector on the Spokin app. Which Device Works For You?